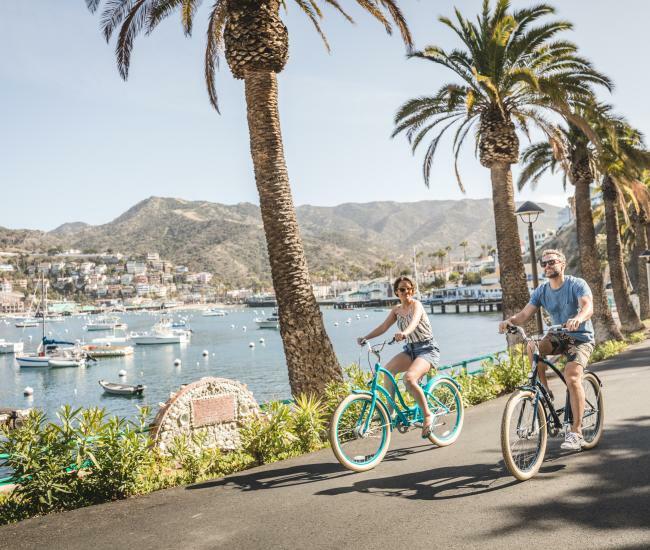 As summer’s frantic pace begins to fade, fall on Catalina Island offers a relaxing respite, replete with great weather, unique adventures and fascinating things to do. 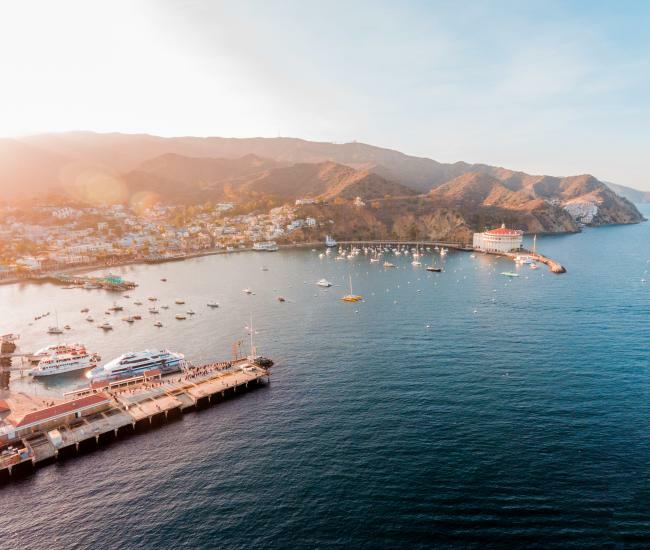 Read on for seven things to do on Catalina Island this fall. Young Guns – Sept. 7 – Wrigley Stage – Free Tribute to Country Music concert on Wrigley Stage starting at 6 p.m.
Two Harbors Microbrew Festival – Sept. 8 – Don’t miss the live music at this beachfront brewfest. Jazz Trax – Oct. 11-14 & Oct. 18-21 – the country’s top smooth jazz festival features a line-up of some of the best performers around. Fall Fest – Oct. 18 – Catalina’s own Hot Off the Range performs on Wrigley Stage from 5-9 p.m. Drink wine: Several Catalina restaurants offer wine lists sure to please even the most discriminating palate but fall offers two special events for grape lovers. The Catalina Island Women’s Forum Wine Festival offers a classic opportunity to sip and sample dozens of wines while enjoying live music and appetizers. A silent auction brimming with tempting treasures rounds out the afternoon, which is a fundraiser for the philanthropic organization. Scheduled for Sept. 15, the festival is held on South Beach, overlooking Avalon Harbor. Thanks to the campy-comedy-turned-cult-classic Step Brothers, the Catalina Wine Mixer was so famous it had to become a real event. Part homage, part concert and all party, this Descanso Beach event is less about wine and more about celebrating the fun that was Step Brothers. Expect a costume contest, rock painting, movie screening, outrigger canoe races and tie-dying as well as plenty of concerts, including The Dan Band made famous in the movie. Mark your calendars for Sept. 21-23 and make sure to get your tickets early. Enjoy art: While you can enjoy a full palette of art on Catalina throughout the year, including sculpture, paintings and crafts, in September the Catalina Festival of Arts transforms the Avalon waterfront into an artistic wonderland. Dozens of artists display, sell and create art, generating one of Catalina’s most popular and longest-running events. Artists begin setting up on Friday, Sept. 14 and the festival continues through Sunday. 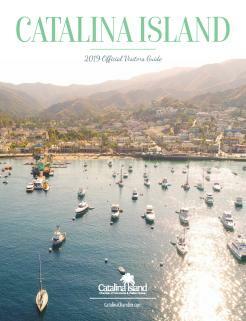 See a film: One of biggest festivals on Catalina in the fall is the Catalina Film Festival. This homage to the relationship between Hollywood and the island features screenings, panel discussions and plenty of opportunities for networking. Film fans can mark their calendars for Sept. 27 to Oct. 1. 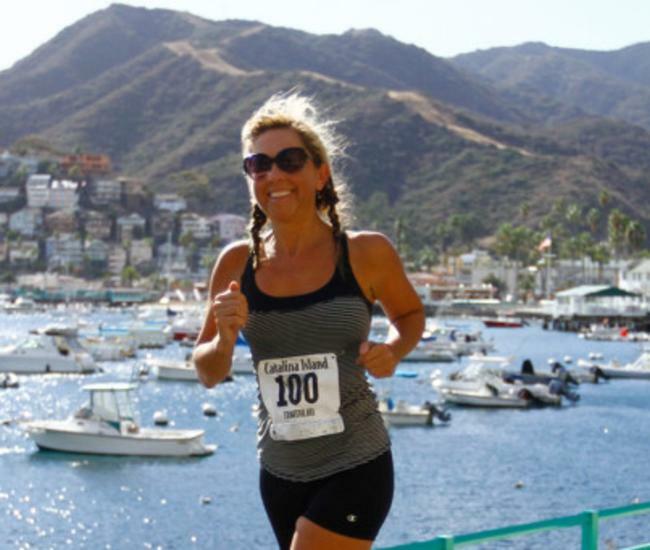 Challenge yourself: Throughout the year, races and runs on Catalina attract endurance athletes from around the country eager to take on the island’s rugged terrain. The season for those events kicks off in November, with the Catalina Triathlon Nov. 3 and the Catalina Trail Venture Nov. 17. Go for the lobster: Fall is lobster season on Catalina Island. California’s spiny lobster season opens Sept. 29 and lobster hunters converge on the island in pursuit of the tasty invertebrates affectionately known as “bugs.” Lobster can be caught either via hoop net or scuba gear and several Avalon restaurants will cook your catch. Prefer to let someone else do the work? You’ll find local lobster on many Catalina menus this fall. Attend an event: The Catalina calendar of events in fall is sprinkled with an array of things to do for the entire family. From Halloween hauntings to holiday happenings here are just a few can’t-miss Catalina events. Fall Fest – Fun for the whole family with live music, games and food along the Avalon waterfront on Oct. 18. Avalon Home Tour – Take a peak at some of Avalon’s most intriguing homes on Oct. 20. Halloween in the Garden – Get your scare on at the Wrigley Memorial and Botanic Garden on Oct. 27. Shop Catalina – Enjoy holiday cheer, great discounts and strolling carolers on Dec. 1.